The Island Koh Bon is together with Koh Tachai one of the latest additions to the Similan Islands National Park. Koh Bon is located on the far north west of the park and can be reached by boat within one hour from the main Island of Koh Similan. Advanced divers adore Koh Bon because of the spectacular manta rays and the underwater stone pinnacles. The island is often called Talu Island or Island No. 11 by the locals but more commonly known as Koh Bon or Ko Bon. Koh Bon is one of the smaller islands of the Similans archipelago but offers stunning stretches of white sand beaches and even better diving spots. The island has no accommodation on it and is therefore only reachable via daytrip from one of the other Similan Islands. Best thing to do here is definitely diving the rugged sea ridge that drops down around 40-45 meters. 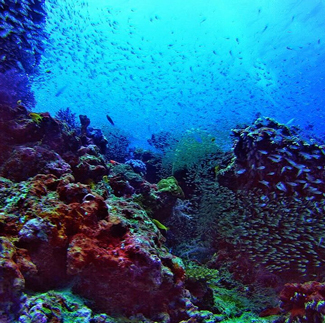 There are multiple dive sites around Koh Bon of which there are a few unique to Thailand. It is often referred to as one of the top diving destinations in Thailand. The best place to start diving in Koh Bon is near the wall on the south of the Island. This underwater wall or ridge is around 35-45 meters and is the perfect place to spot Manta Rays that are feeding in the rich waters. Try to be careful and as quiet as possible, this way the Manta Rays will approach and sweep around you with their mighty wings of black and white. The best time of the year to spot Manta Rays is between April and May, yet they can be seen all year round. Missed the majestic Manta Rays? 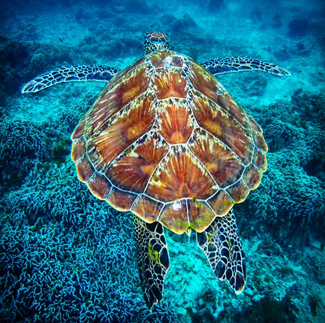 Don’t worry the ridge near Koh Bon offers another diving surprise! Because of the food rich waters you can find a lot of shark species hanging around the steep cliff. The most commonly seen sharks are Leopard sharks and White tip sharks. Don’t neglect the wall itself since it is full of life and soft corals in multiple colors. You can spot Titan Triggerfish, Damselfish and of course various kinds of the might Morey Eels hiding in the wall itself. Another great diving spot near Koh Bon is are the pinnacles, sometimes referred to as Pinnacle City. The average water dept is around 40 meters and the pinnacles stick out at around 25 meters high. The currents are strong here so watch your flippers. 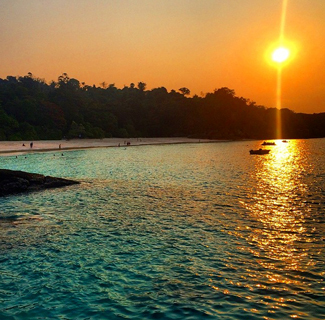 The diving site lies northwest of Koh Bon and can only be reached by boat. Unfortunately the place can only be dived when the water conditions are near perfect. Additionally you will have to be very experienced or be advanced in liveabroad dives. What fish can you spot here? Various types of Rays such as Manta’s and Eagles but also Black Tip Sharks and other small fish. The walls of the pinnacle are colored with soft corals. You can reach the Koh Bon Pinnacle dive spot via boat within a few minutes from Koh Bon. Ask your diving instructors where to find the larger fish as they probably know where to look for the Manta Rays and sharks. Because the island of Koh Bon is pretty remote it stayed illusive for a long time. Nobody visited the island and it kept its natural beauty and pristine beaches. Nowadays you can visit the island via day trips for snorkeling, diving or relaxing on the beach. The small island can be hiked within an hour, yet it is rocky and difficult. Koh Bon doesn’t feature any accommodation on it. 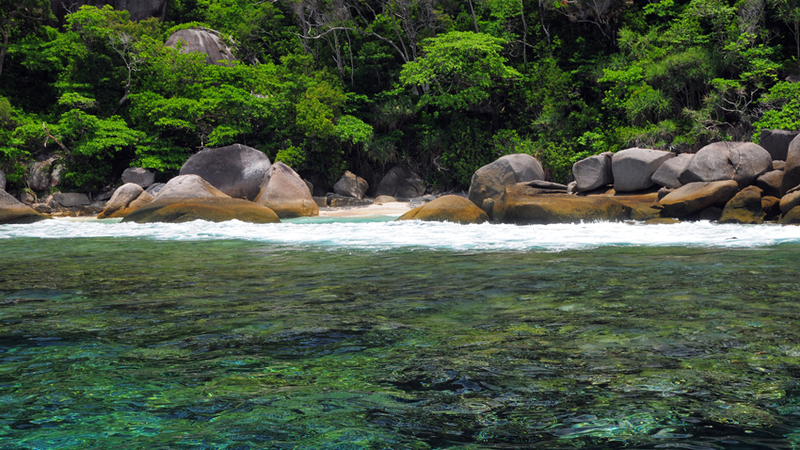 Therefore it can only be reached via tours from mainland Thailand or other Similan Islands. The island lies about one hour away from the slightly larger Koh Tachai. Various tour agencies offer diving tours to the island. 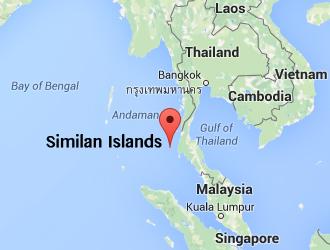 You can read more information about how to get to the Similan Islands on this page.